Strict visa rules and a turbulent civil war make visiting Angola pretty challenging. There are, however, plenty of online resources for safety tips on where to stay in Africa’s seventh-largest country, and how to obtain a visa. If you manage to get in, you won’t be disappointed: from natural beauty to exciting cities, this coastal country has a whole host of fun and fascinating landmarks. Your first port of call in Angola will probably be its capital, Luanda. One of the city’s most impressive sites is the UNESCO world heritage site of the Fortress of Sao Miguel. Built in the 16th century, the fortress housed various Portuguese officials during the Portuguese Empire. Now the center for the Museum of the Armed Forces, the impressive fortress offers spectacular views over Luanda Bay. 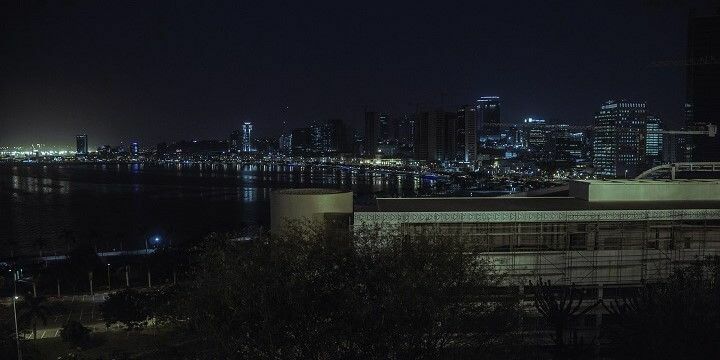 The view over Luanda Bay is great day and night. For more beautiful architecture, head to the National Bank of Angola, a pretty pink building, which looks particularly magical when illuminated at night. After you’ve seen the bank’s twinkling lights, take a stroll along Avenida 4 de Fevereiro, which runs parallel to the bay, for impressive views across the Atlantic. Angola is home to three huge waterfalls, the most popular of which are the Kalandula Waterfalls. Located about 85 kilometers from the city of Malanje, these falls rank within the three largest in Africa (though there are ongoing debates about whether they are the second or third biggest). It’s best to visit the Kalandula Falls during the rainy season (September to April), when they reach heights of over 100 meters. They are surrounded by luscious forests, home to a huge range of wildlife, though a lack of signposts and marked routes make trekking quite risky for tourists. The Epupa Falls lie on the border with Namibia. For smaller, but equally as stunning, waterfalls, check out the Ruacana Falls, near Ruacana, and the Epupa Falls, which lie on the border with Namibia. A summertime visit to Angola would be incomplete without checking out its beautiful beaches. If you’re staying in Luanda, you’ll only be two minutes from the Illha de Luanda, also known as the Cape Island. This seven-kilometer-long stretch of land with a popular beach, bars, and markets is separated from the capital by a small section of the Atlantic. Luanda is located right at the coast. Alternatively, travel a little further (around 20 minutes) to find the Mussulo Peninsula, a thirty-kilometer-long peninsula, which offers quieter beaches, that are more popular among locals than tourists. 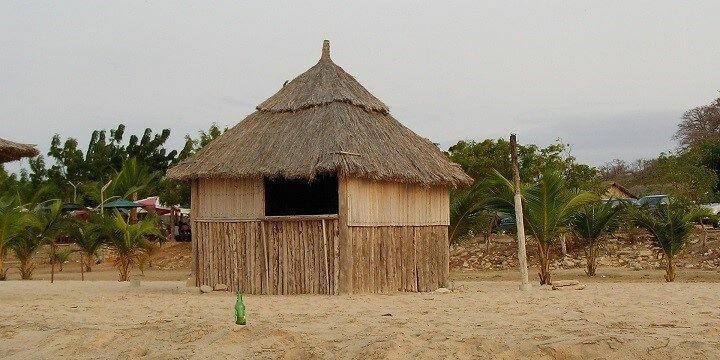 If you’re willing to head even further afield, check out the beaches of Sangano and Cabo Ledo, which are popular among expats, enjoying weekend retreats away from the hustle and bustle of Luanda. The city of Benguela, meanwhile, hosts relatively quiet, very clean beaches, with clear and warm water. Located in the Southwest, Iona National Park is the largest national park in Angola, stretching over 15,000 square kilometers. Despite the fact that the civil war tragically wiped out much of the park’s beautiful wildlife, it’s still worth a visit to see ostriches, zebras, and hundreds of species of bird. Another popular park is Kissama National Park, which is a little smaller, covering just under 10,000 square kilometers. Located about 75 kilometers from the capital, the park is home to a huge range of flora and fauna, as well as animals like giraffes, elephants, ostriches, and rhinos, some of which were brought to the park to protect them from illegal poaching that has sadly boomed since the outbreak of the civil war. If NextStop24 helped you to choose your next travel destination, we'd be very grateful if you’d search for your accommodation in Angola through this link. It's an affiliate link, which means that we will receive a small commission for every booking made through it. There are no extra costs for you; you'll simply be helping to keep NextStop24 running. Thanks! Not your usual holiday destination!